The Kennedy and Silverton cross country teams have, like many of us in Oregon, been battling smoke and unhealthy air… in addition to the usual challenge for the high-schoolers of getting in shape for the season. Silver Falls State Park will be the venue for the annual Silver Falls/Oktoberfest Invitational. The Trojans and Silverton co-host the meet, with Ritchie reporting that they will have 30-plus teams on hand for the Sept. 12 event. The Trojans return Alejandra Lopez, who was fifth at last year’s Class 3A-2A-1A meet, two spots behind senior teammate Kaylin Cantu. Kennedy took fifth in the girls team race. Whitney Lopez, Alejandra’s sister, is running well, Ritchie said, after battling injuries last year. Also on hand is promising freshman Aleks Eyles. Luke Hall, who finished 24th at state last year, leads the Kennedy boys. Also in the mix are a pair of track and field athletes, sprinter Micah Parker and vaulter Gianni Velazquez, who are giving cross country a try, and freshman Korbin Wedding. The new districts that went into effect this fall are huge, with 30-plus teams for the girls 3A-2A-1A Special District 2 and more than 20 for the boys 2A-1A Special District 2. The top four teams from the Oct. 25 district meets at Bush’s Pasture Park in Salem go on to the Nov. 3 state meet for all classes at Lane Community College in Eugene. Although he emphasized that it’s still early in the season Ritchie said he hopes his team is in the mix for boys and girls district titles. Silverton coach Erik Cross, meanwhile, is working with a roster of more than 95 athletes. “Although it is early and often athletes find that the sport isn’t for them, all indications are that this will be the largest cross country team in SHS history,” Cross told Our Town. Also in the mix for the top seven for the boys are sophomores Trevor Ortega and Charles Petrik, senior David Reeves, junior Jadon Mansur and a sophomore transfer from Nebraska, Miles Decker. Cross also is high on freshmen Carter Gauvin, Zach Kuenzi and Colin Allen. Three veteran seniors are pacing the Silverton girls, Eleasha Zitzelberger, Jori Paradis and Addie Schmitz. Lending support and depth will be juniors Cherise White and Justice McBride, sophomores Kaity McElfresh and Anne Hurley and ninth-graders Sophia McElroy and Kayden Eberle. Cross pegs Dallas and Crescent Valley as the teams to beat on the boys side in the nine-team Mid-Willamette Conference, which has lost Woodburn while adding North Salem and West Albany. “We have a large group whose times could be very closer to one another,” Cross said. “That could be a tremendous advantage at our conference championship meet” Oct. 24 at Waterloo Park in Lebanon. Correction: In my Aug. 15 football preview column I flubbed the date of the Regis-Kennedy nonleague game. The contest is Sept. 7 in Mount Angel. 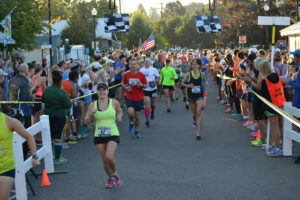 Oktoberfest races: Three events will be held Saturday, Sept. 15 in conjunction with Oktoberfest in Mount Angel. 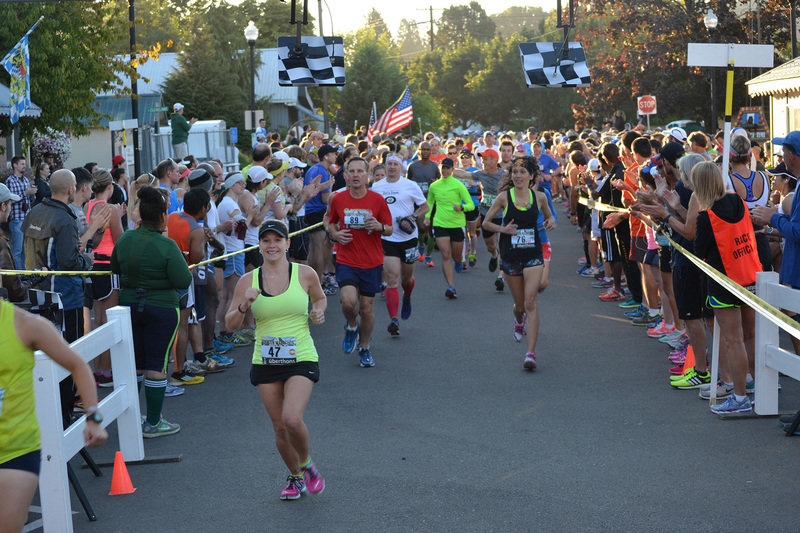 The 13.1-mile half marathon starts at 8 a.m. at Humpert Park, 400 Alder St. The 10-kilometer run and 5K run-walk start at 9 a.m. at Humpert. Register in advance at www.oktoberfestroadrace.com or on race day at the park. Kennedy fundraiser: June 16 marked the 27th time that the Trojans have held a golf event that benefits the baseball program. The Pomeroy-Power team proved victorious at Evergreen Golf Course and the event raised $2,000 for Kennedy baseball. 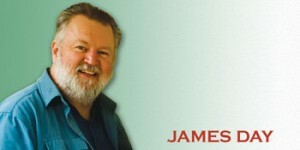 Follow me on Twitter.com @jameshday. Got a news tip? Email me at jamesday590@gmail.com.